Travel Channel has morphed into DMAX on Freeview, while remaining free-to-air on satellite. Many programmes recently shown on Travel Channel have transferred to the newly revamped DMAX, which has been given a refreshed on-screen look for the first time in almost a decade. The Freeview feed of the Travel Channel switched to DMAX late this morning. It took the former channel's service ID, which meant a seamless transition on channel 42. 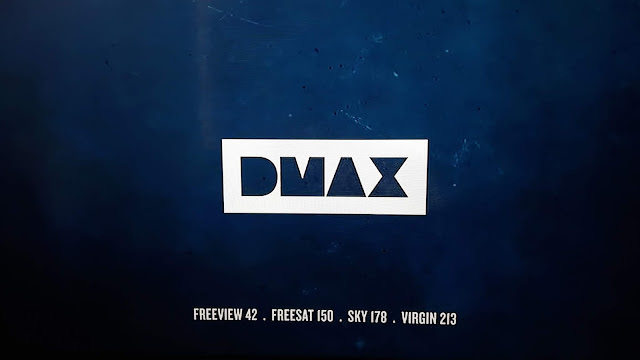 On Freesat, channels 150 and 151 were switched from Travel to DMAX and its +1. The Travel Channel continues elsewhere with a revised schedule. Last week, Discovery announced Travel Channel would continue on pay TV platforms following the DMAX switch, but, at the time of publication, free-to-air options remain. Off the Freesat EPG, Travel Channel and its +1 continue free-to-air on satellite and can be manually tuned in on satellite receivers. This free-to-air feed continues to be included on Sky's EPG, where the channel continues as normal. Travel Channel also continues on Virgin Media. It's also currently available for free to registered users on streaming service TVPlayer.com and associated mobile apps. The Travel Channel UK website now redirects to the DMAX page on Discovery's UK website.